Our Cochin cruise port guide gives you information about the docking location, cruise dock, transportation options and much more! Welcome to the Cochin Cruise Port Guide. 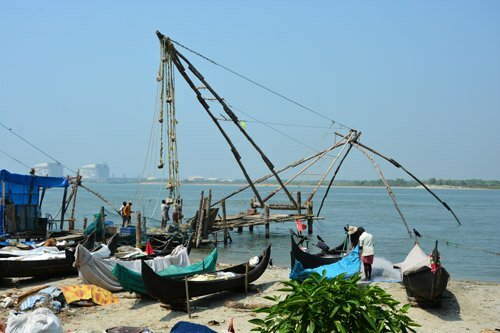 Cochin, also known as Kochi, is with over 600.000 inhabitants the largest city of the state. It is part of the Ernakulam district and the state of Kerala. It has a very vibrant atmosphere unlike any other town in India. This old maritime town has been influenced by so many cultures that is shows in the architecture and daily life. The Arab and Chinese traders have been here since the beginning of the common era. They could find a source of pepper, cinnamon, cloves and sandal wood here. Kochi was blooming on the Monsoon Market place. The Chinese were here in the 14th century and left their marks in ways we can even still see today. Even the name of the city means “like-China”. The Arabians were definitely dominating the trade here. Bringing the much desired products to Europe. But then the Europeans decided it was time to cut out the middle man and start the search for these spices themselves. In 1498 it was the Portuguese under the command of Vasco da Gama to arrive in India. Cochin was one of the first stops in this new found spice world and there were no plans of leaving anytime soon. This is the spot in India where the Portuguese made their first trading post and it still stands in the city today. The history of this place might be quite interesting, but don’t forget you have some really nice scenery in the area is well. Particularly the Kerala backwaters are known for their cultural value and scenery. This is the dock with the cruise terminal on Wellington island. This is most often where the ships dock. However as you can see in the background there is another ship docked at a different spot. It is still on Wellington island, just on the other side. See map above. At the cruise pier there is always a ferry station nearby. The whole city and all the islands are connected by ferry. Spot the ferry from the ship (look like on the picture) and see where these ferries pick up their people. This way you immediately know where to pick it up! In Cochin there are currently 2 cruise docks, both of them are on Wellington island. Check the map above to see where these 2 spots are exactly. Usually you dock at the cruise terminal which is only open on when the ship has a (dis)embarkation day. At both docks you are about 10 km away from the old town of Cochin. There is public transport available at the docks. One of the best ways to get around is to take the ferry across to city centre. For just a few rupee you can get all over Cochin. There is always a ferry jetty close by the ship and the best thing to do is to spot them from the ship when you are sailing in. The ferries look like the boats on the picture on the left hand side. Spot these and you’ll know where the ferry stations are. The 2 stops that you want to know about are the stop at Jewish town and Chinese fishing nets. Always double check if the ferry is going there before you step on. There is a limited amount of taxis waiting for you at the port. There is an abundance of rickshaws / tuk tuks waiting for you at the port. The rickshaws are recognisable yellow and black and they have meter although they don’t really want to use these for tourist. The rickshaws/tuk tuks can take you around for approximately 10 dollars per hours, depending on your negotiation skills. Often people say it is 20 US dollars one way to get into the city of Cochin, but you will notice it is possible to do it for 5 USD. Simply walk off the pier and start the negotiation! 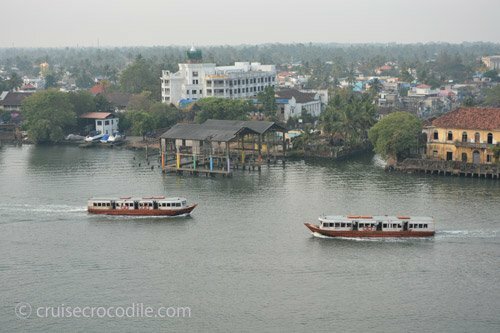 Sailing into Cochin is beautiful and it is a great introduction of the city. Just before you leave open sea you often have the opportunity to see small dolphins, lots of fishing boats and eagles. Than your ship will leave open sea and sail past the old town of Cochin. Make sure to set your alarm clock for this! This is one of the best spots to go for lunch. It gives you an opportunity to step into the cuisine of North India. And it is everything you would expect from India: spice, spice and spice. Proper spices that are used for great cooking. Cricket is the most popular sport in India. In almost every city you will find a large open space in the centre where these matches are played. Look out for fields like this and perhaps join on the side lines for an old fashioned game of cricket. For quite some time a small Jewish community has been living in Cochin. At the heart of the Jewish neighbourhood we find Jew Town Road. This is nowadays one of the best places for shopping. Stroll the streets for any kind of souvenir or form of art. It is a really nice and cozy neighbourhood, even non-shoppers should at least get a taste for this part of Cochin. 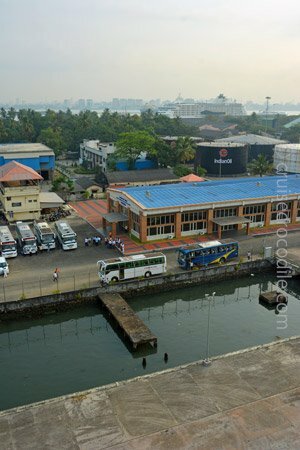 This is the main cruise dock facility in Cochin. Cruise ships enjoy a beautifull sail in and simply dock here in the port of Cochin. Take a taxi or take the ferry to the city center. 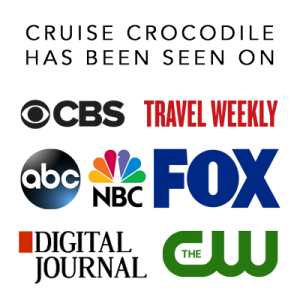 Read all about your transportation options and what to see and do in the full Cochin cruise port guide. This hotel is situated at Willingdon island which is the same island as where your ship is going to be at. This luxurious hotel is the best retreat for a nice day out. They are not really fond on strings of cruise guests so it is wise to make a reservation for lunch ahead of time. With over 280 years this is the oldest European cemetery in India. There are about 104 tombs here of mostly Dutch and English who came here to expand their colonial power over India. The cemetry remains closed, but you’re still able to peak inside. This square is probably the most liveliest square there is in Cochin. It has the local food vendors, souvenir shops and all the hangout places. This is the best location to start any walk through the old town of Cochin. Tugged away in one of the alleys you will find the Paradesi Synagogue, constructed in 1567. This is the oldest active synagogue in the Commonwealth of Nations. Go inside to witness this beautiful interior. This is a must see in Cochin. On the shore lines of the city centre of Cochin we find an entire row of Chinese fishing nets. Many say it is Zhang He that introduced this form a fishing and that it is used here ever since. Take a look and see how this unique operation works. For a small fee you are even able to step in and join the fun. This church was originally built in 1503. That makes it the oldest European church in India. But there is more to this church than just a pretty facade. The famous Portuguese explorer Vasco da Gama died in Cochin in 1524. This was during his 3rd visit to India. The spot where he originally was buried was right here in this church. It was only after 14 years that his body was moved to Lisbon where it still finds its final resting place. This Roman Catholic Cathedral is one of the 8 basilicas in India. It is one of the finest churches in Kerala, known for its beautiful Gothic and Portuguese style and can find beautiful paintings on the ceiling. Just on the coast you will find these steam boilers. These were steam boilers of the cranes used in Cochin Dry Dock for 20 years from 1956. It used coke, coals and fire wood as fuel. Notable use of these cranes included attending the annual repairs of dredger Lord Willingdon and Lady Willingdon. In the city centre of Cochin you will find an old ruined for called Fort Emmanuel. It was the first fortifications that the Rajah allowed the Portuguese to build here. From here the Portuguese were eventually able to spread their colony and commercial interests. Today you will hardly recognise it as a fort because today it completely disappears into the city centre of Cochin.